Visual: The TV filler opens with an image of a terrorist masked in a keffiyeh (i.e., Arab headdress) holding a rock poised to throw it. The DFLP (Democratic Front for the Liberation of Palestine) has carried out numerous terror attacks, including the Ma’alot massacre in which 22 schoolchildren and 4 adults were killed (May 15, 1974), the Avivim school bus massacre, in which 9 children and 3 adults were killed (May 22, 1970), the Kiryat Shmona massacre (18 killed, April 11, 1974), the Beit Shean attack (4 killed, Nov. 19, 1974), the Jaffa street bombing in Jerusalem (7 killed, Nov. 13, 1975) the Tiberias bombing (2 high school students killed, May 15, 1979), the Night of the Gliders (in which two terrorists infiltrated Israel from Lebanon using hang gliders, killing 6 Israeli soldiers on Nov. 25, 1987), and the Geha junction suicide bombing near Tel Aviv (4 killed, Dec. 25, 2003.) The DFLP has participated in and claimed responsibility for dozens of other terror attacks. Omar Al-Qassem - Led a terror squad that crossed the Jordan River into Israel to carry out a terror attack in 1968. Caught by Israeli soldiers, the squad killed two soldiers. 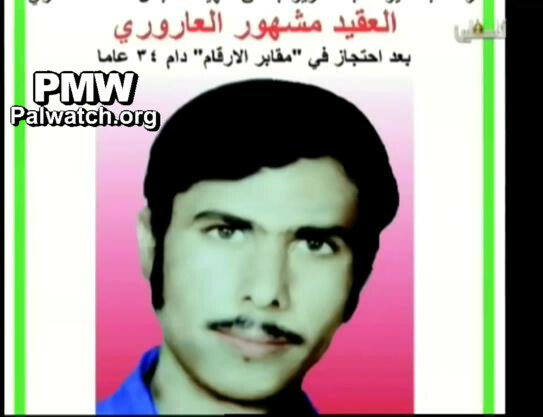 Al-Qassem was given two life sentences, and died in his prison cell 21 years later. Khaled Nazzal – Secretary of the Central Committee of the Democratic Front for Liberation of Palestine (DFLP), and commander of its military branch. He was responsible for the terror attacks in Ma’alot and Beit Shean in 1974 and Jerusalem in 1984. Bahij Al-Majdhub – A member of the Democratic Front for the Liberation of Palestine (DFLP). He was killed in combat against the Israeli army in Sidon, Lebanon, in 1982 during the First Lebanon War. Mashour Al-Arouri – A terrorist of the Democratic Front for the Liberation of Palestine (DFLP). In 1976 Al-Arouri infiltrated Israel from Jordan as part of an armed unit, whose members encountered Israeli army forces and were killed in the confrontation. Al-Arouri was buried in the Israeli cemetery for terrorists and enemy soldiers, and his body was returned to the PA in August 2010, in the wake of an appeal to the Israel Supreme Court. The Cemeteries for Enemy Casualties are two burial sites maintained by the Israeli army for burying the bodies of enemy soldiers as well as terrorists. They are fenced and well-marked. Graves have markers instead of gravestones. Burial is temporary, on the assumption that the bodies will eventually be returned to their countries of origin. No ceremony is held. The bodies are buried in numbered caskets, after their identities have been documented.